with our comprehensive Pounds Away program we'll show you how to rid yourself of unwanted pounds and keep them off for good! LOWER PRICES – MORE SAVINGS ! The management and staff of Pounds Away of West Virginia would like you to learn about our diet plans. Come meet our staff of professionals, who will help you lose those unwanted pounds and keep those pounds off for good! Pounds Away is a weight loss clinic whose purpose is to help you create changes in your lifestyle that will help you look better and feel better about yourself. Pounds Away promotes wellness for you by helping you choose a program to eat less, exercise moderately and control your weight. It is the philosophy of Pounds Away that every individual will be treated as a unique individual in assessing the appropriateness of ethical diet therapy. Prices start at $110.00 per visit, per month, depending upon which medication you need. (Phentermine, Phendimetrizine & Others. 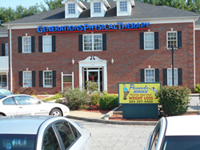 We offer “Patient Discount Cards” and Military Discounts.